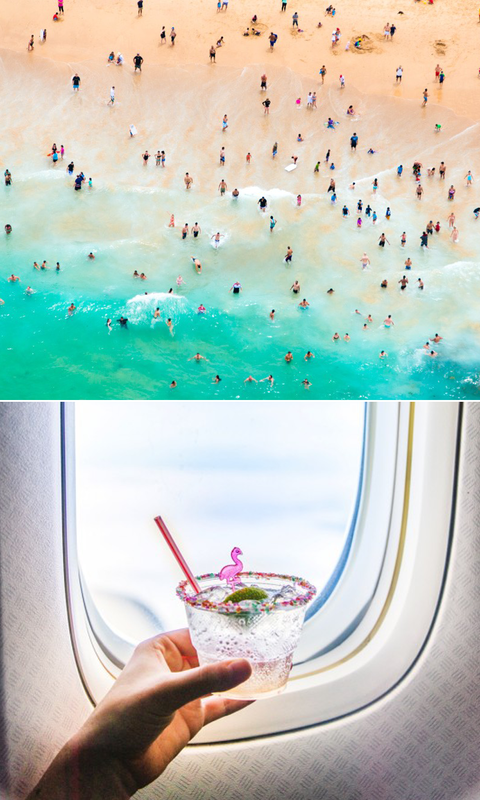 I first came across the work of photographer Gray Malin a few years ago and instantly fell in love with his aerial beach photography. Not only are his photos beautiful, but they capture coastlines from a vantage point few ever see, transforming beaches into colorful works of art. 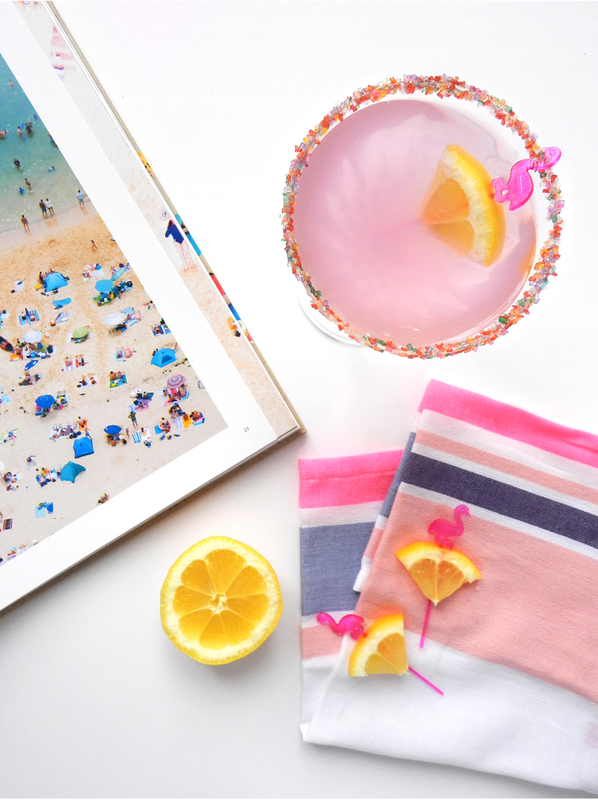 Each image whisks you away on a mini vacation, so when I heard he was releasing a coffee table book I immediately pre-ordered a copy and I have been paging through it ever since it arrived last week. 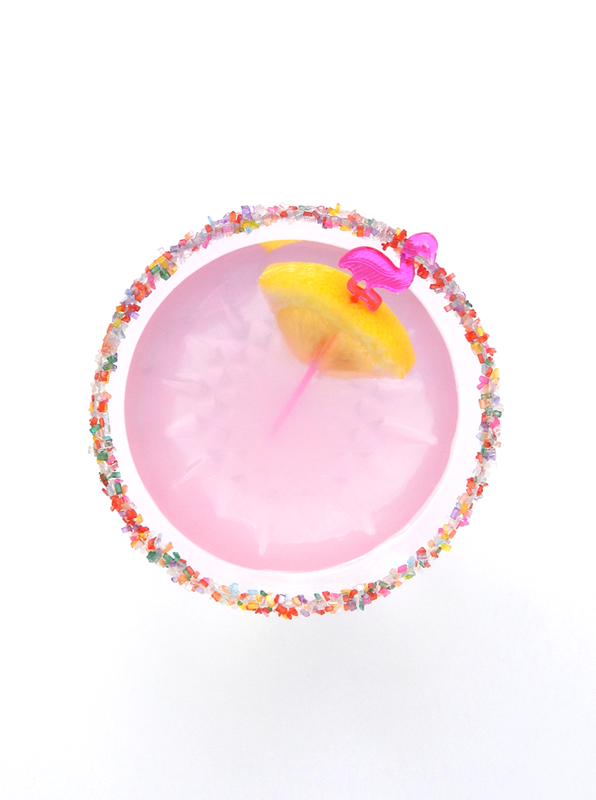 While I have no immediate plans for a beach vacation, I decided the next best thing was a sprinkle-rimmed cocktail inspired by this Gray Malin cocktail kit. 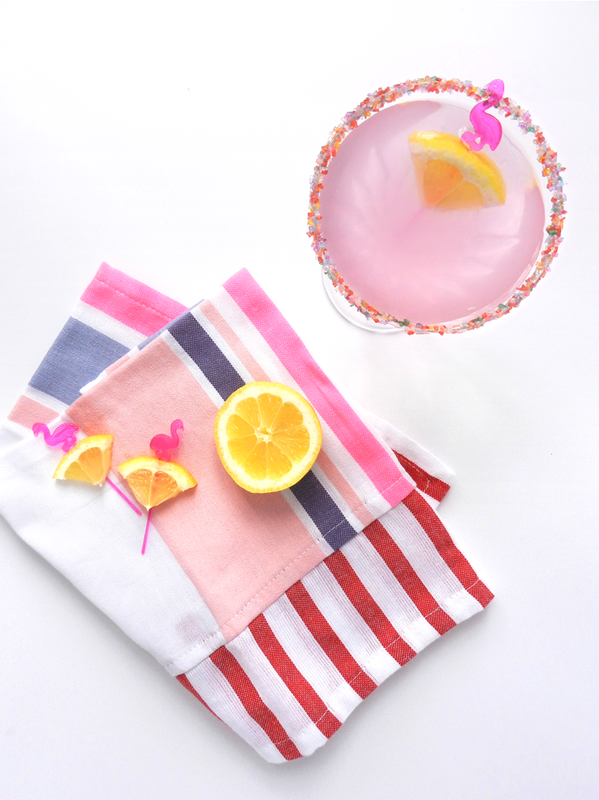 My favorite poolside drink is a vodka lemonade, so I updated the classic recipe and used pink lemonade, sprinkles and a pink flamingo to dress things up a bit. 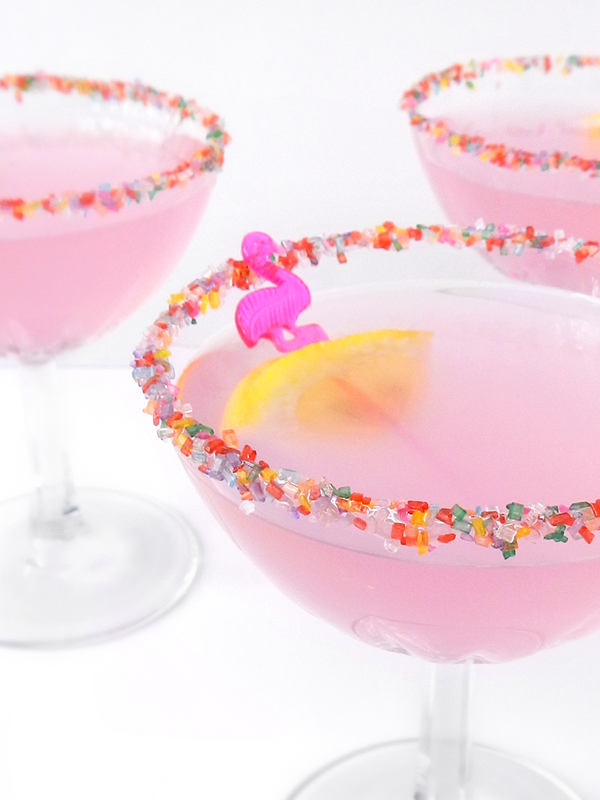 I don't know about you, but I am fairly certain that every cocktail tastes infinitely better when served with a sprinkled rim and a pink flamingo! Tip: To help keep your sprinkles in place, rim each glass with a touch of honey before dipping them into a shallow dish of sprinkles.